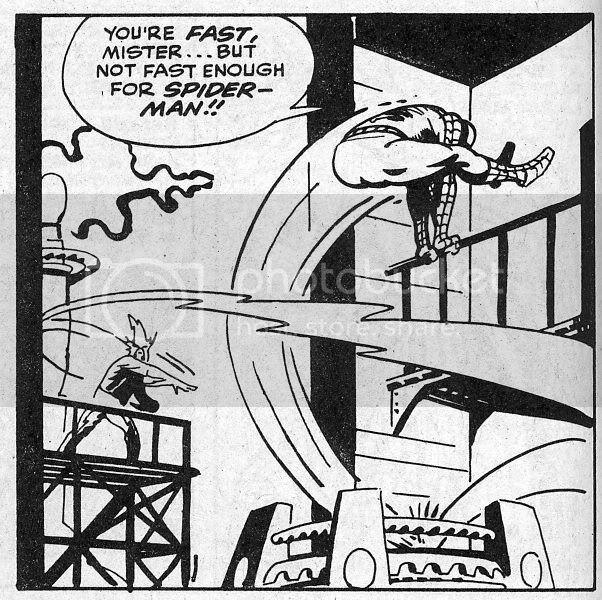 Abstract Comics: The Blog: Ditko's "Spider-Man," part 1, a.k.a. "Hey look, how cool is this?" --NOW UPDATED! WITH COLOR! 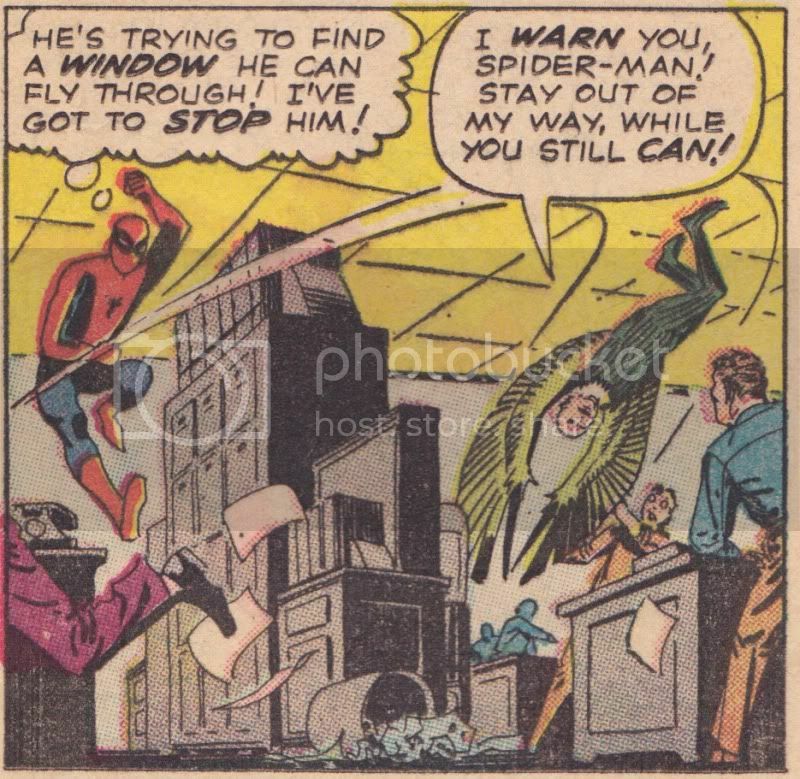 Ditko's "Spider-Man," part 1, a.k.a. "Hey look, how cool is this?" --NOW UPDATED! WITH COLOR! 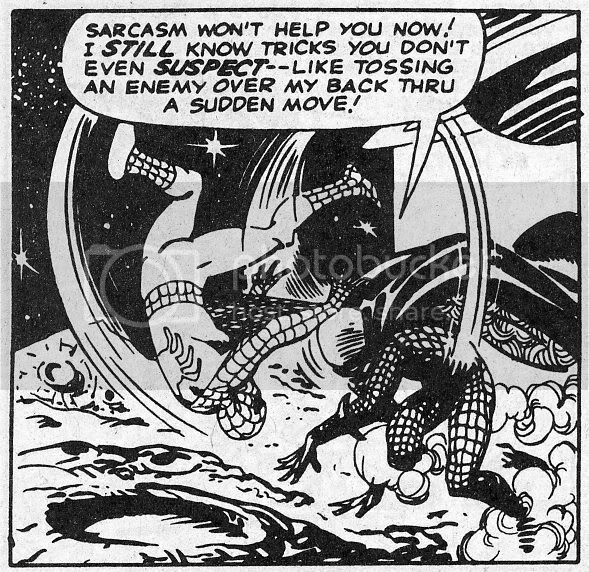 I've been promising for a while to write on Steve Ditko's Spider-Man, and given that, as Craig Yoe and the other folks over at SuperITCH have declared, it's Ditko Week!, I'd better get started. 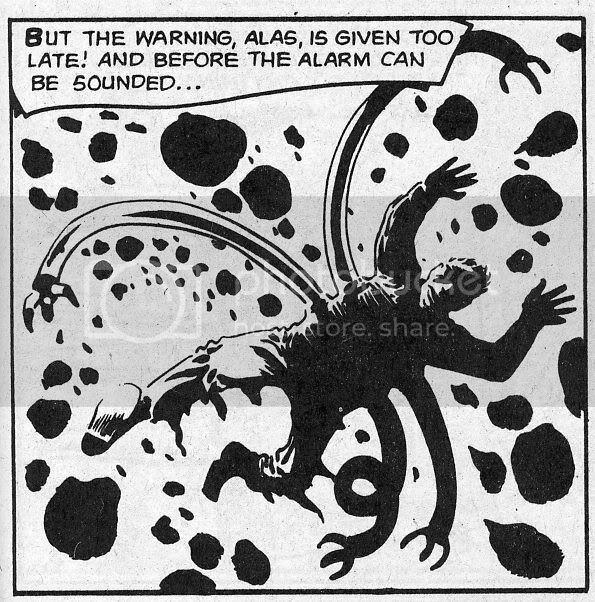 The problem is that it's kind of daunting, so to ease myself into it I'll just do what should be a not-particularly-controversial post of really cool art from Ditko's run. 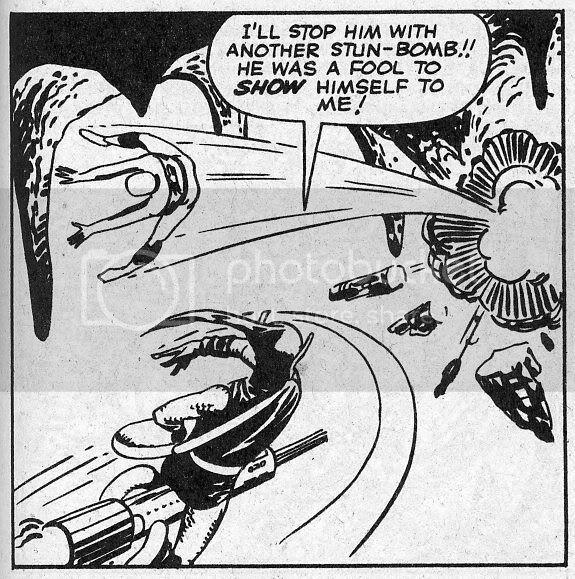 This way, I'll get out of my system a bunch of images that would otherwise clutter my discussion (because I couldn't bear not reproducing them); also, as I am planning to focus more on the later part of the run, this way I'll be able to show more images from the earlier issues. 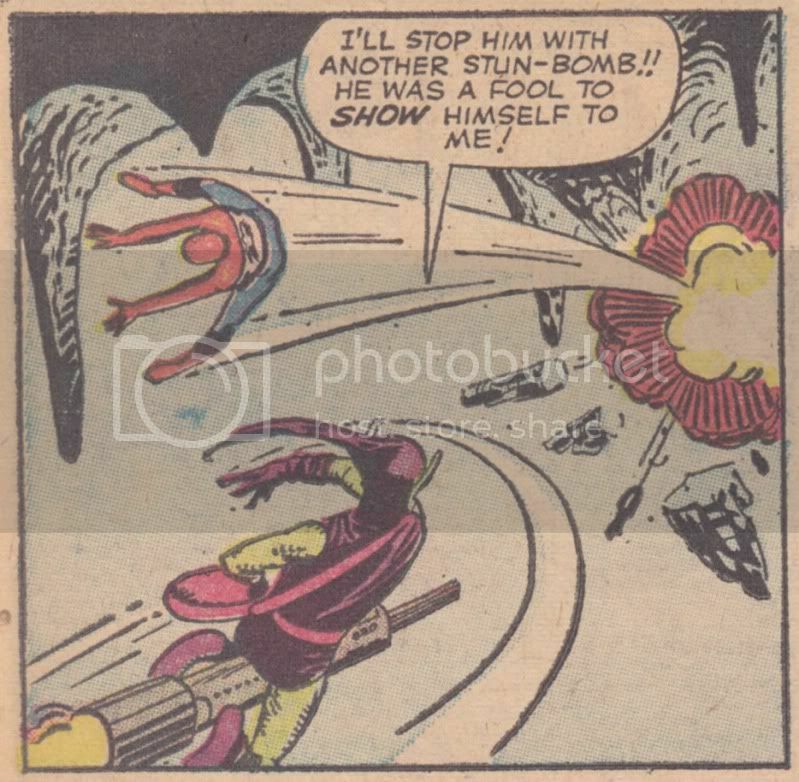 So, in this post I'll focus exclusively on art from issues 3 (July 1963) to 19 (December 1964), and from Annual #1, 1964. 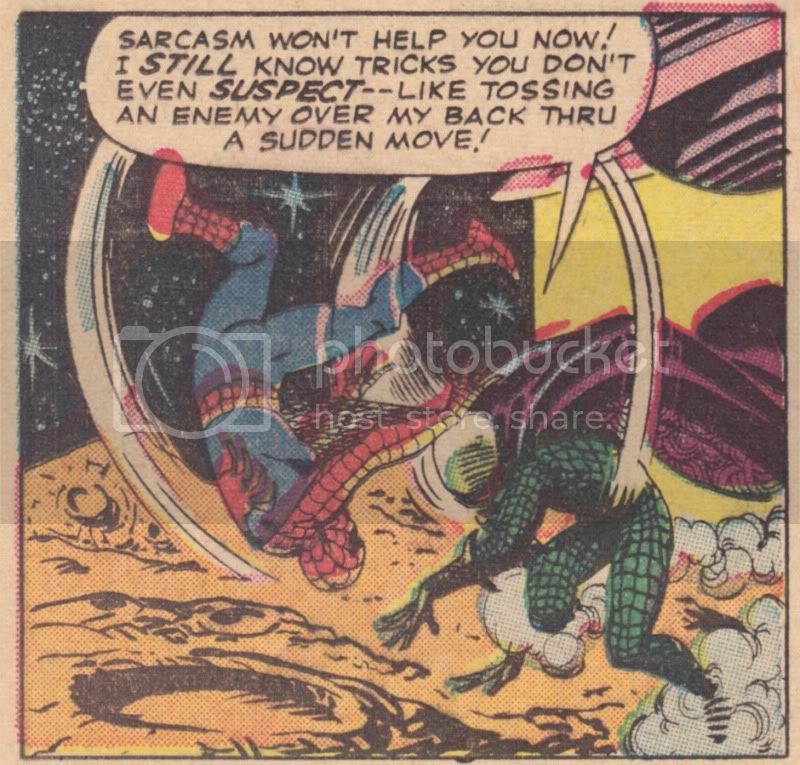 I have scanned them all, by the way, from The Essential Spider-Man vol. 1, so they're in black and white. 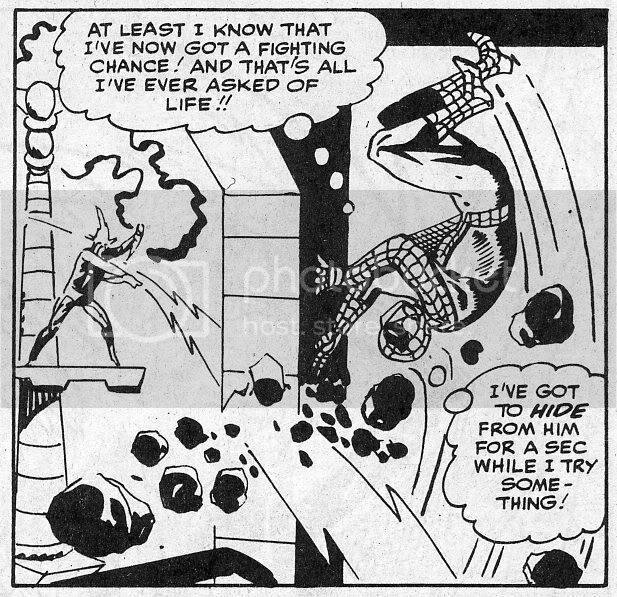 At least I can justify this decision by claiming this is how they left Ditko's hands and how the original art (if it still exists) still looks. 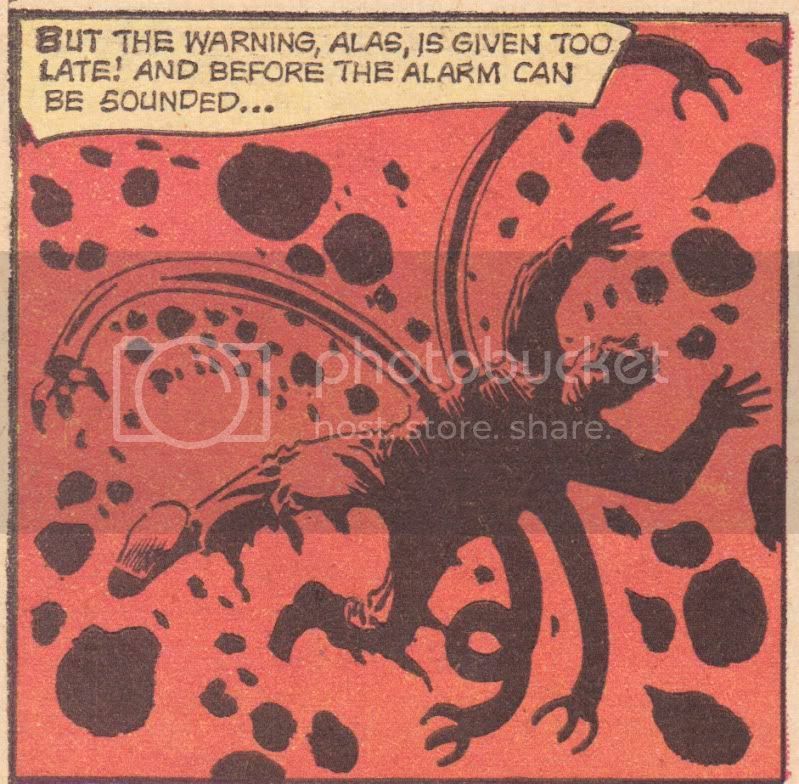 I only own about a third of the Ditko issues in color, and only a couple of those are not reprints, and I didn't want to mix B&W with color--especially with color resulting from a coloring job that has nothing to do with how the original looked. 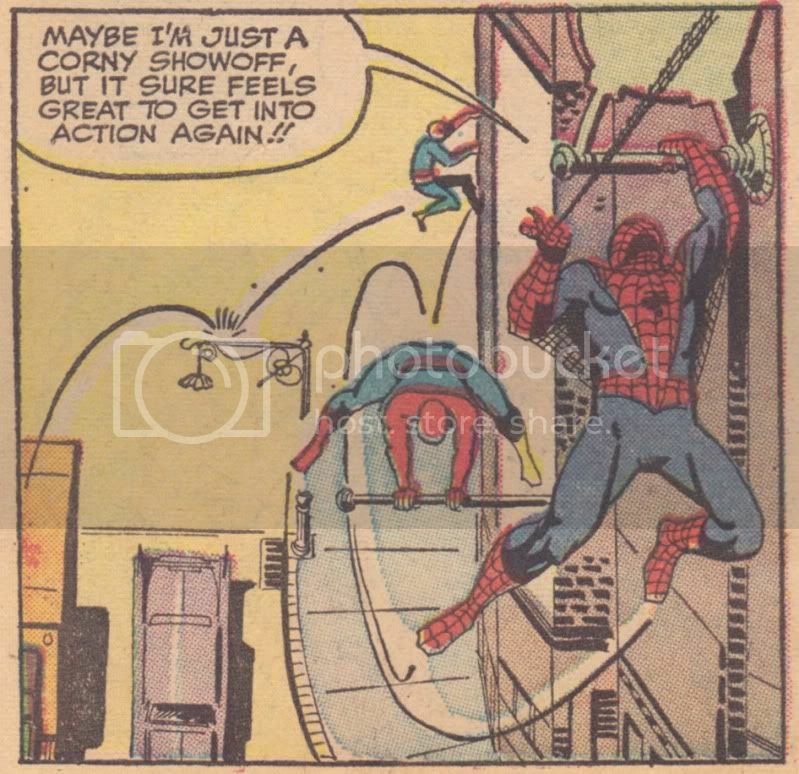 But if you have scans of the original issues (not reprints! 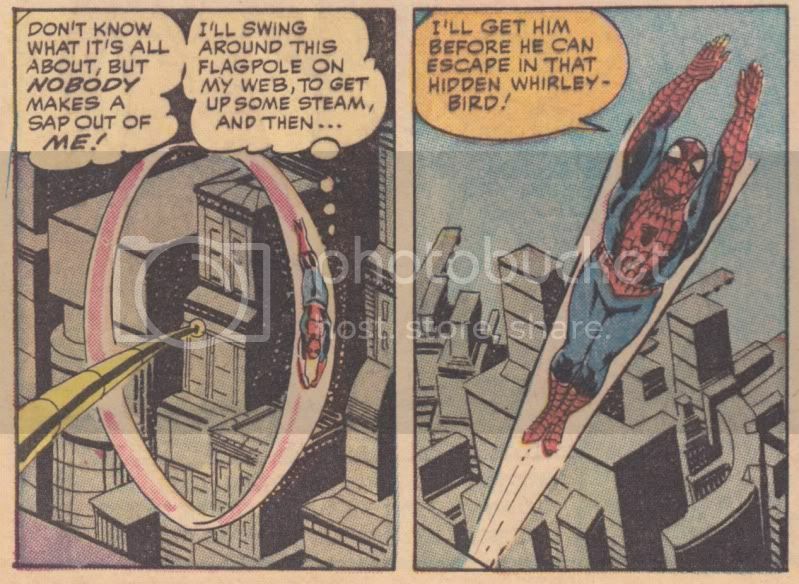 ), please send me jpegs of the images I posted here and I'll be happy to add them and give you credit. 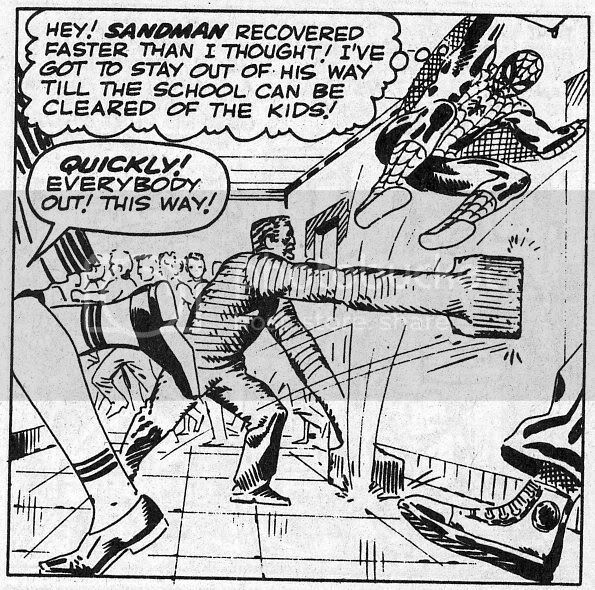 From quite early in Ditko's run you can see a typical characteristic of his compositions: the way the principal lines of force go in many directions at once, though not at all in a disordered manner, but in one revealing a very clever orchestration: maybe you don't need me pointing this out, but look at the horizontal thrust of the Sandman's arm, its angular relation to his other limbs, and its juxtaposition to Spider-Man's near-vertical, curving lines of motion and diagonal pose, as well as to the opposite diagonal of the girl's leg in the foreground (echoed by the pleats on her skirt), and the double diagonal of the foot and calf (at nearly a right angle to each other) stepping in from the right. The girl's other calf, meanwhile, reinforces the horizontal axis we began with. 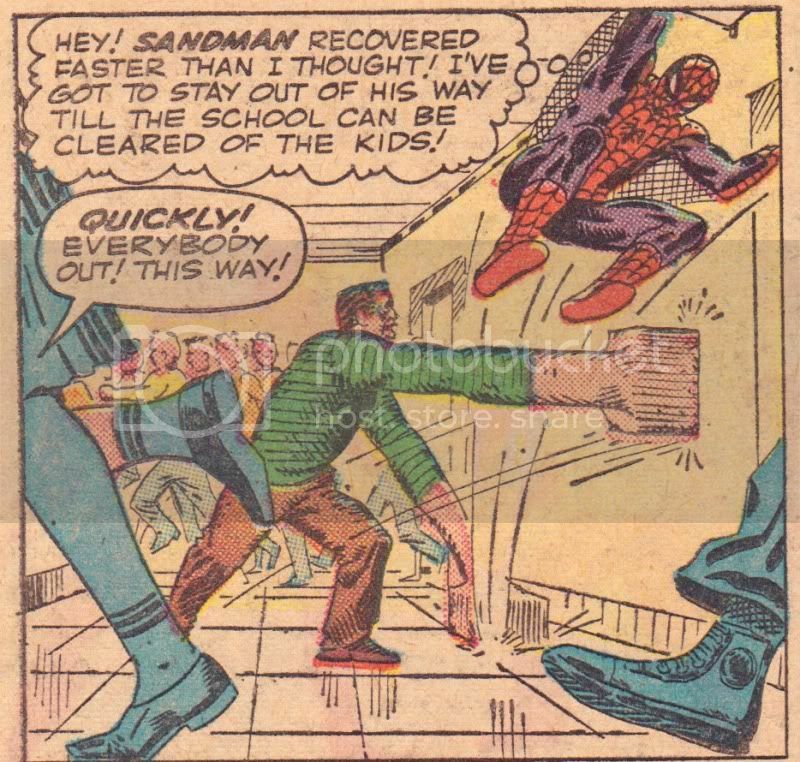 The many synecdochic limbs that drift off-frame place increased importance on the panel frame itself, on the panel's specific shape, and thereby on the relationship of the overall composition to its support. In a 1945 review of William Steig's All Embarrassed (reprinted in the Collected Essays and Criticism, vol. 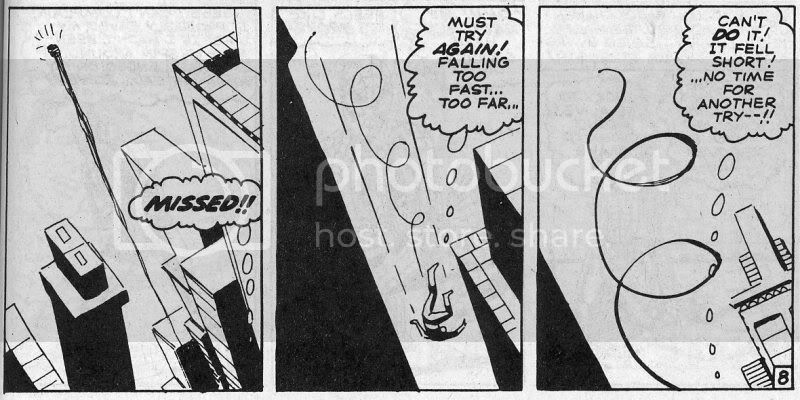 2 and also in Jeet Heer's and Kent Worcester's excellent anthology of comics criticism, Arguing Comics), Clement Greenberg wrote that Steig's drawings "do not manage to escape the neatness and formularization of the cartoon--nor will they until Steig forces himself to leave his forms more open and to take into greater account the shape of the page." 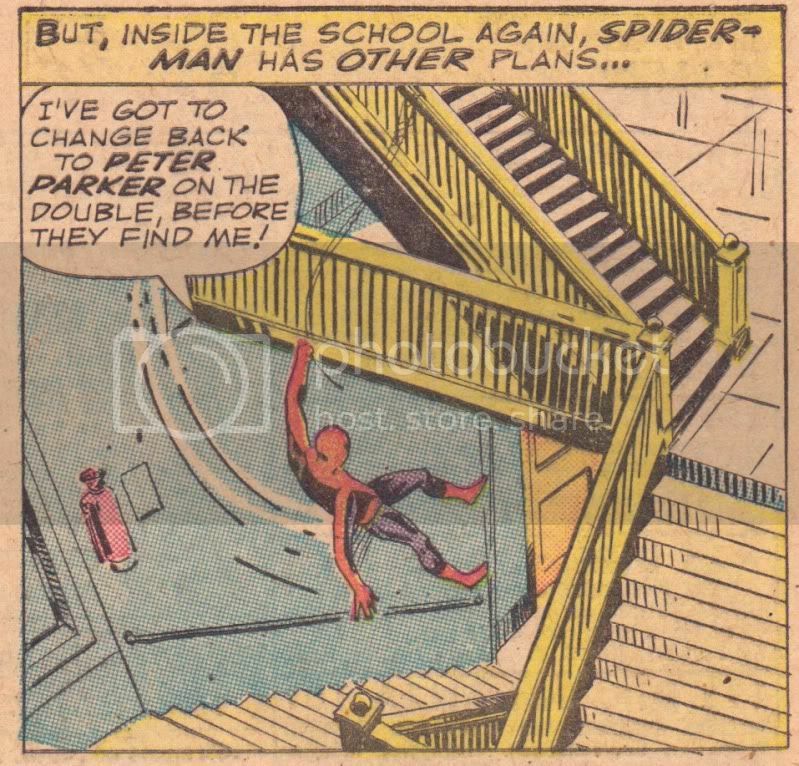 On the second count, at least, had he deigned to pick up what he probably conceived of as such juvenile reading matter, Greenberg would have approved of Ditko's composition. 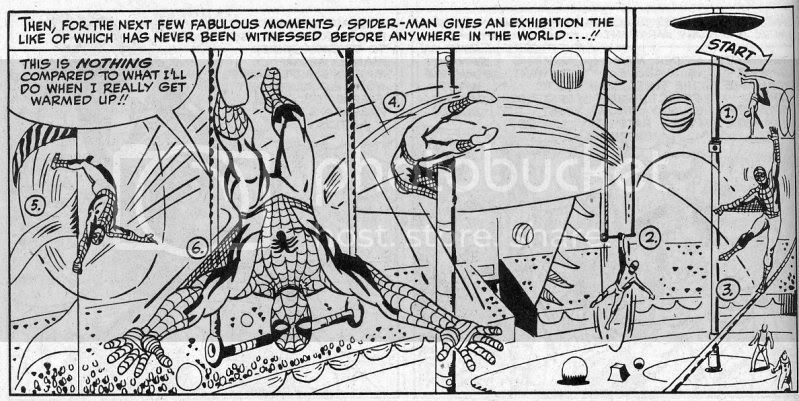 Which is to say--and this will become more and more evident over his entire run--Ditko begins to replace "formularization" ("of the cartoon," of comic-book conventions) with a new formalization in his art. A flash of movement, two zaps of energy across the static regularity of turbines and gears. 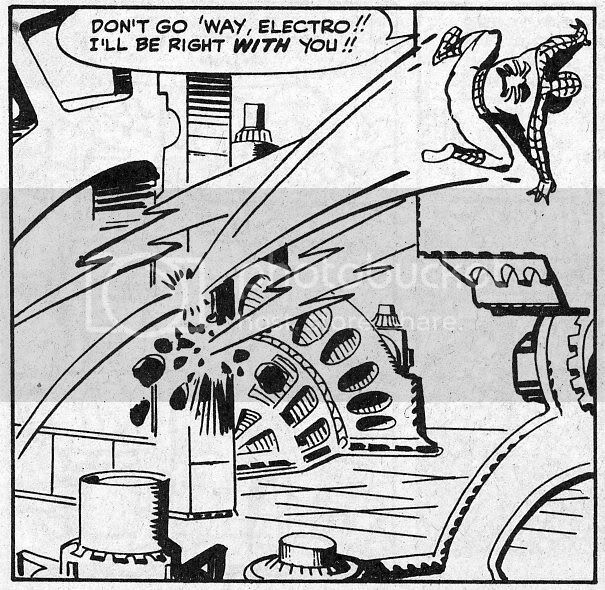 A bisected C (Spidey's motion lines, Electro's bolt) foregrounded against the straight, sharp lines of the plant's scaffoldings. That's all I have to say for now, no grand conclusion. If you're still with me at this point, please keep all this in mind, I'm hoping to build on it for the next post. this one is really hard to read Andrei, the illustrations get in the way! 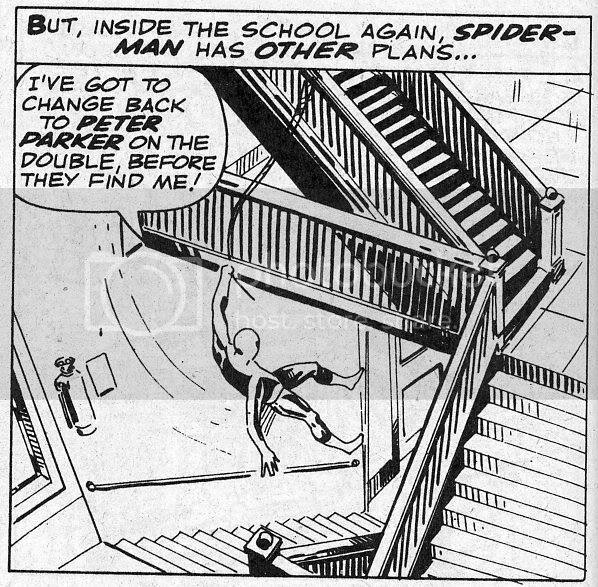 (I mean in your original black and white post.) 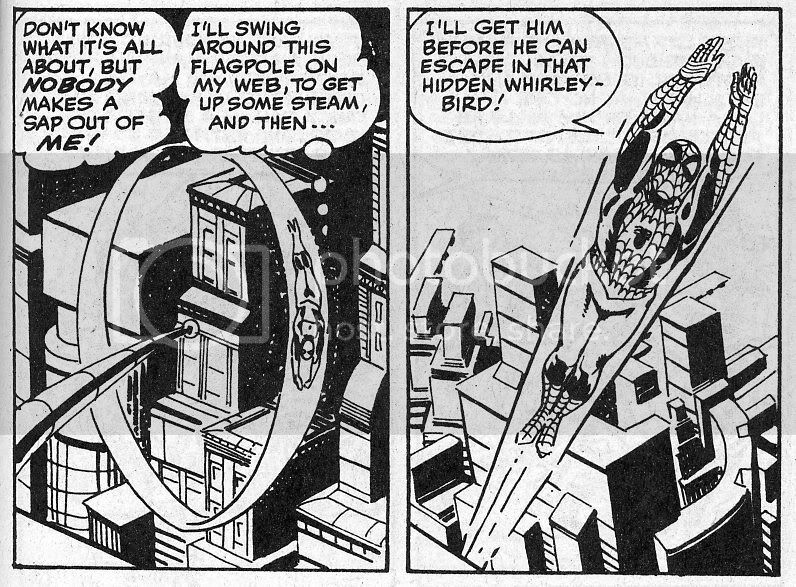 those frames are just beautiful, dynamic in b&w - isolated, enlarged on the screen - my eyes don't want to read they want to look. I too get lost in the reverie of the art. 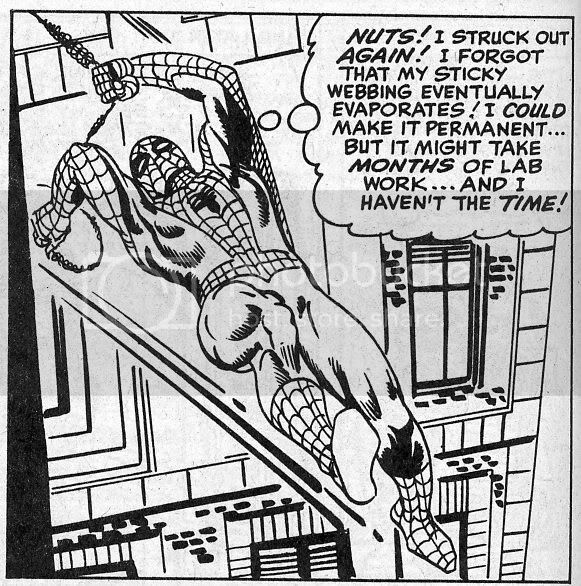 And I think I read this post like a comic -- that is, back and forth and over and over. 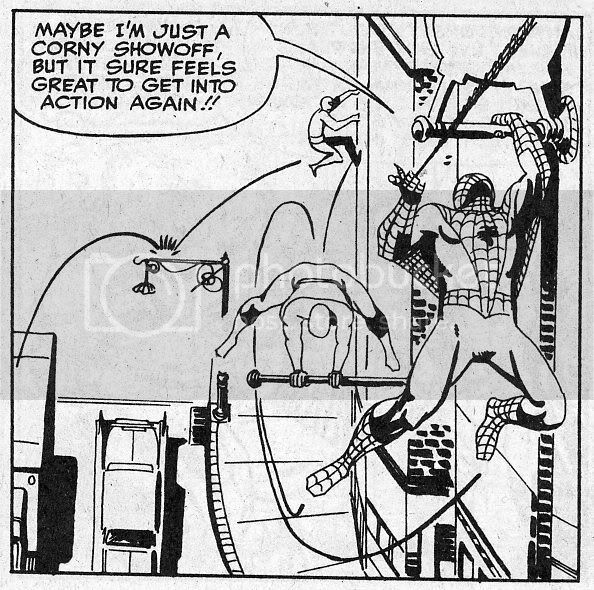 Your words regularly help me attend to elements of the panels. Looking forward to where you go with this next. 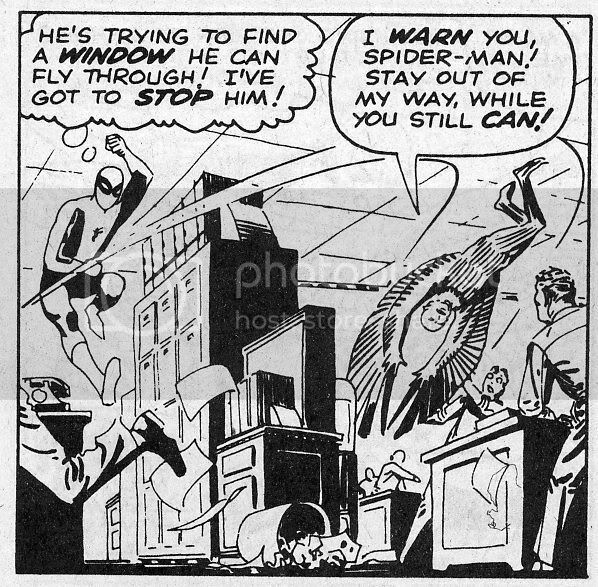 I am excited about more time with Ditko -- I think he deserves more than a week!